A whole café dedicated to mac and cheese? We're in heaven. The Mac-o-licious eatery in a Valley Village strip mall is every mac lover's dream, with around 10 different variations offered and even more showing up as fried mac pops. 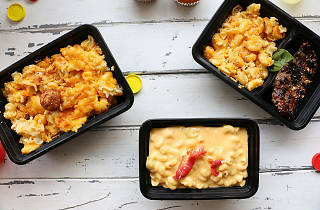 Try the Main Mac, a blend of cheddar and Gruyère mixed in with Maine lobster, or the Five Cheese Mac with, well, five cheeses. You can even add toppings to up the oomph factor, like bacon, black truffle and ghost pepper. Can't decide on one version? 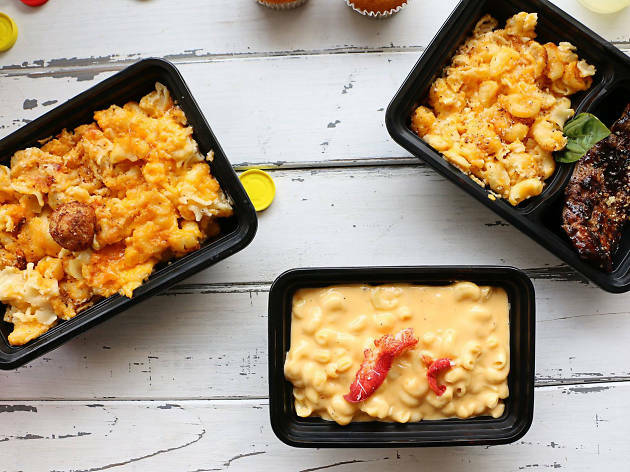 Opt for the mac flight, which lets you pick three different types. Then settle into a comfy booth, where you'll be propped up by mac and cheese-printed pillows.